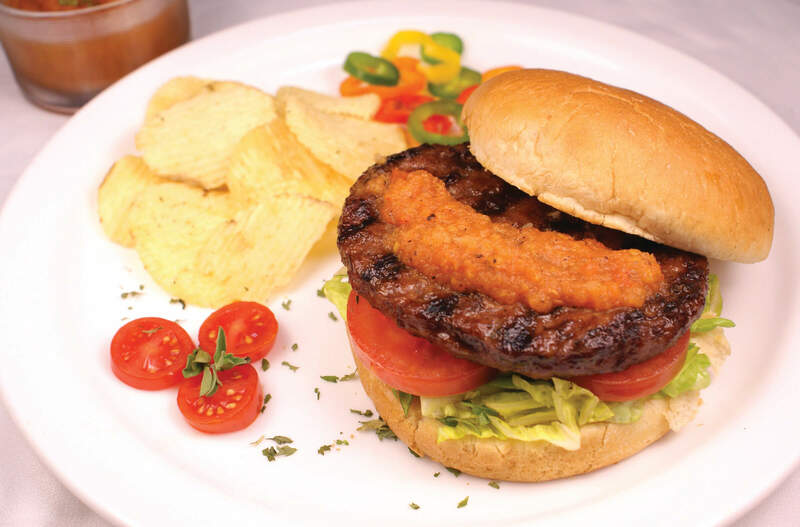 Make this quick grilled tomato ketchup to serve with the new No Name Steakhouse Burgers. Coat the tomatoes, peppers and onion with a small amount of olive oil, salt & pepper. Place the vegetables on a hot grill and cook until the items are nicely charred. Remove the vegetables for the grill, place them in a bowl and let them rest for approximately 5 minutes. Place the vegetables (and any roasting juices that are now in the bowl) in a blender. Blend until the vegetables are broken into small pieces. Add the remaining ingredients – oil, vinegar, sugar and spices and blend until the mixture is smooth. Place the mixture in the refrigerator until ready to serve (can be served while it is still slightly warm or chilled).